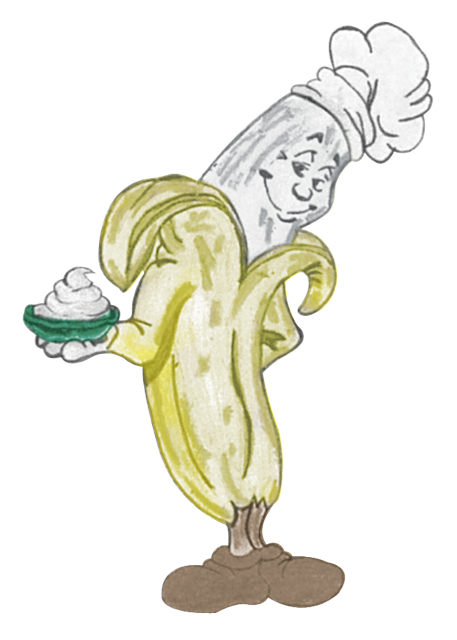 The Bashful Banana Cafe’ located at 946 Boardwalk on Ocean Colony Walk between 9th & 10th in Ocean City, New Jersey serves healthy gourmet meals with great taste and appeal. Our focus is to provide delicious food created with fresh ingredients cooked on premise to order, we do home cooking in a healthy manner and our food proves you don’t have to sacrifice great taste for healthy nutritional food. The cafe’ serves breakfast, lunch and dinner with inside and outside seating on a private boardwalk. If you have any questions or wish to have something prepared in a special way please ask your server and we will try to accommodate your special needs. We look forward to making your visit at the shore and the Bashful Banana Bakery & Cafe an experience of great pleasure.